Explore the wildlife and bird species at Kumarakom bird sanctuary. 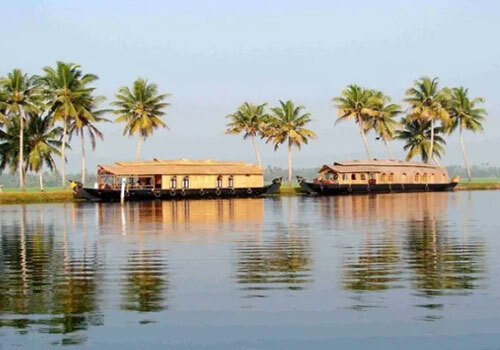 Nature is served in its purest form in this itinerary with backwaters, bird watching, beaches, water skiing and others. With this three nights and four days itinerary we help you scale earthen paradises like Alleppey, Kumarakom and Cochin. These destinations are handpicked especially for those who are waiting for a burst of adrenaline and sweet everlasting memories. Explore the beach, cruise through the backwaters, ski on the water and gallop into the nature for bird watching. You will be received at the airport/ station and you will be welcomed at our hotel. Once you get fresh and without wasting even a second, Start your journey in Kerala to beautiful town Kumarakom by car, which is famous for backwater, cruise and bird watching and that’s the reason why tourist are attracted here. You will get to explore the wildlife and bird species at Kumarakom bird sanctuary. This bird sanctuary is situated on the banks of Vembanad Lake and hence it is also known as Vembanad Bird sanctuary. You will see not only domestic bird but also some international migratory species because this is the home for both- domestic as well as migratory birds. Indian harter, herons, steppe eagle, osprey, marsh harrier, egrets are few among others that can be spotted in this sanctuary. If you love water sports and want to do something adventurous, you can involve in water skiing and windsailing. Post the day adventurous stuff, you will be taken back to the hotel. Morning after breakfast proceed to experiencing the backwaters of Kerala and side by side the locales of Kumarakom, the local people activities, birds and other stuff. You will be experiencing backwaters sitting in Kettuvallum, a traditional houseboat on the placid waters of Lake Vembanad. On the way, you will be able to notice the local culture, tradition and also the different kind of birds, surrounding coconut grooves, the green lush and beauty which will make this cruise memorable. 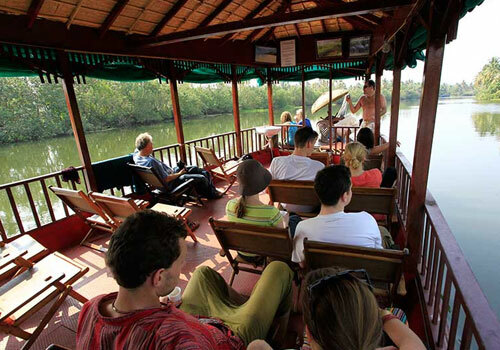 The whole day you will be cruising around Kumarakom. Post the exciting whole day stuff, you will be taken back the hotel. After breakfast, you will be taken to Alleppey also called as Alappuzha, by water. You will be in a houseboat for the whole night. Houseboat is not less than your home, it is well equipped with all the luxurious stuff as per your need, well-maintained kitchen, well equipped and furnished rooms and all other stuff that you would need. Relax in the houseboat but do not let your eyes get relaxed and you won’t be able to do so, because surrounding paddy fields, coconut grooves, Chinese fishing nets, water lilies, different bird species will actively catch your eyes. Eventually, you will land in Alleppey (Overnight Stay in Houseboat).